Many states require so-called "low-flow" toilets that use less water when you flush. That requires new technology to effectively clean the bowl, and manufacturers are rising to the challenge. 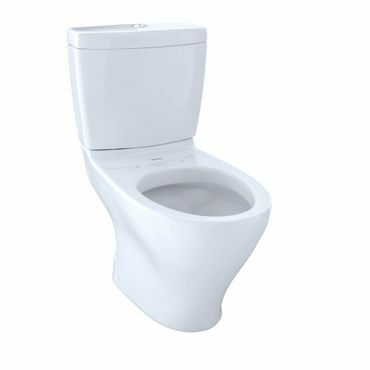 Today's toilets feature powerful flushing technology that uses air and suction to maximize the smaller flow of water. If your bathroom is cramped, or if you'd just like to have something a bit different, you may want to consider the American Standard Cadet 3 corner toilet. Owners say it's a great option in a small space, is easy to install, and does a great job of bowl cleaning with one flush. However, that's because it uses 1.6 gallons per flush (gpf), which means it's not WaterSense certified, so can't be sold in California, Colorado,Georgia or Texas. The Astor Bidet Fresh Water Spray toilet seat attachment is a great starting point for anyone who would love to try a bidet, but doesn't want to make too large of an investment in time or money. 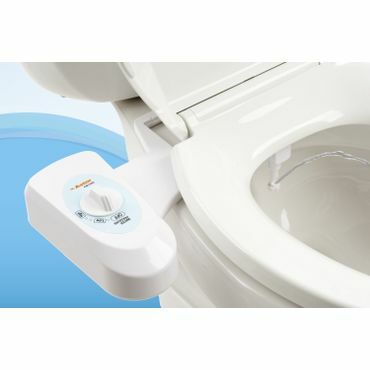 The Astor Bidet attaches quickly and easily to any toilet seat, and owners say it's exceptionally durable. Users like that they can cut down on the amount of toilet paper used, and feel like a bidet is a step up in personal cleanliness. Wall-mounted toilets are very popular in Europe, but more Americans are buying into their stylish, modern, easy-to-clean vibe. And no model gets better reviews than the Toto Aquia Wall-Hung Dual-Flush Toilet. This wall-mounted toilet comes in two colors, white and beige. Owners rave about its trendy appearance, but remember, you need to budget for the purchase and installation of an in-wall tank. 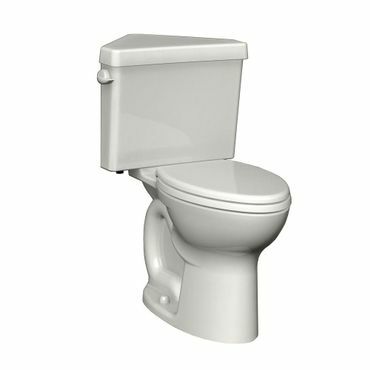 This is the most common type of toilet and they get the best reviews for flushing performance, which includes bowl cleaning and solid-waste removal. However, that's because most standard, single flush toilets use 1.6 gallons of water per flush (gpf) and are not WaterSense certified. That means they don't meet the low-flow requirements that are in place in California, Colorado, Georgia and Texas, and they won't qualify for any available rebates. While most online retailers won't ship a non-compliant toilet to those four states, others will. Keep in mind, though, that your state or community may have penalties in place for those who purchase and install non-compliant toilets; such as withholding inspections, denying permits or leveeing fines. While corner toilets are relatively rare -- and are pricier than traditional toilets -- people love them for their small footprint and for offering the option of a different look in their bathroom. Corner toilets are particularly good for small spaces or for renovation projects that turn, say, a storage area into an extra bathroom. Low-flow toilets, which use 1.28 gpf or less, are the wave of the future and are the only type that meet regulations in place in California, Colorado, Georgia and Texas. 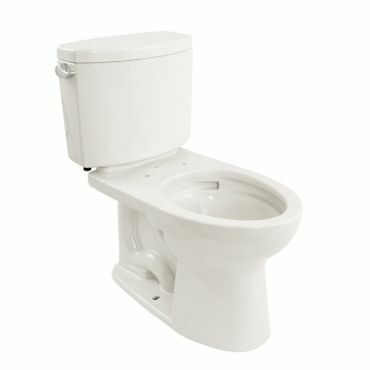 Low-flow toilets are also often referred to as High Efficiency Toilets, abbreviated as HET. The challenge of the low-flow toilet is to use as little water as possible, while still offering good bowl cleaning performance and solid waste removal. Manufacturers have risen to this challenge by developing technologies that combine various types of pressure to move that smaller quantity of water more powerfully. These toilets qualify for WaterSense certification and may be eligible for a rebate from your local water provider. You can check to see if your provider offers rebates for WaterSense toilets at the EPA website. Rebates are sometimes substantial -- up to $100 or so -- and, in some cases, could cover the cost of your new toilet. People often fall in love with bidets while traveling overseas, or just like the idea of a more thorough cleaning after doing their business. Bidets may also help cut down on the amount of toilet paper used -- and they're definitely a better alternative than toilet wipes, which can wreak havoc on your plumbing. 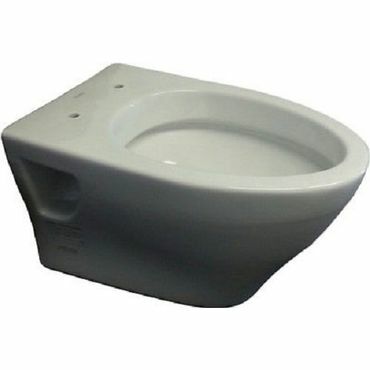 Bidet toilet attachments are generally affordable, super easy to install, and will fit most toilet seats. Dual flush technology solves some of the problems inherent in both single flush toilets (using too much water) and low-flow toilets (too little water for effective bowl cleaning). Dual-flush toilets have one button for an effective 1.6-gallon flush for solid waste, and a second button for liquid waste that typically uses .9 gpf, although that can vary from .8 gpf to 1.1 gpf and still be considered "water saving." The combination of the lower and higher flushes averages out to the HET requirement of 1.28 gpf. Like low-flow toilets, these WaterSense toilets may qualify for a rebate. Even if you can't afford a wall-mounted toilet, you still want your fixtures to be as nice-looking as possible. Most toilets are still either white or beige, but some come in several neutral shades, plus an occasional black toilet (although black usually sports a much higher price tag). Toilet designs can vary from the standard, curved design to skirted designs that are easier to clean. Sorry, we couldn't resist. All standard toilets come in one or two-piece designs, with two-piece toilets by far the most common. These have a separate tank and bowl; you install the bowl first, then bolt the tank to the bowl. A one-piece toilet integrates the tank and bowl. One-piece toilets are easier to clean, and many owners prefer the way they look in a bathroom, but they're also heavier and can be more difficult to install. They also cost more than two-piece toilets. Don't forget you need a seat! Very few toilets come with a seat, and those that do are often panned for the cheapness of the included seat. The majority of the toilets in this report don't come with a seat. 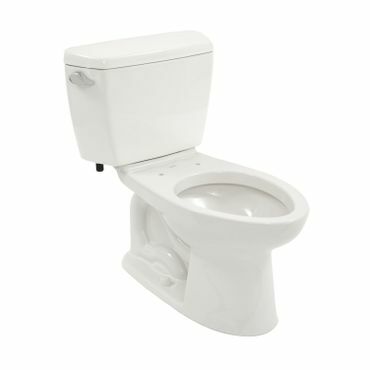 The advantage to buying a toilet without a seat is that you can choose the type of seat you prefer, whether that be plastic, wood, heated, or padded. Also, while we include each toilet's height measurement in this report, that's the height of the bowl without the toilet seat, a seat will add two or three -- or more -- inches. "Terry Love's Consumer Toilet Reports"
One important factor in whether or not a toilet can do its job in a single flush is its Maximum Performance (MaP) rating. MaP is an independent testing organization that assesses hundreds of toilets using a paste made of soybean and rice to simulate human waste, as well as wads of toilet paper. Each toilet must pass at least four out of five separate flush tests. The minimum standard is 250 grams of solid waste, which is average for an adult, and toilets are tested up to 1,000 grams. Manufacturers voluntarily submit products for testing and pay a fee, and MaP scores have become a gold standard for evaluating flush performance. In addition to reviewing the results of each toilet's MaP test, we evaluated the results of professional tests of toilets conducted by editors of ConsumerReports.org, as well as recommendations by plumber Terry Love, who runs a popular website devoted to plumbing supplies. Even more importantly, we reviewed the input of hundreds, sometimes thousands, of customers who have actually bought and used those recommended toilets to see how they performed in real world use. We used all of that information to find and recommend the best toilets for any bathroom or lifestyle.